Small sink hole at the corner of federal and depasquale, northwest corner near storm drain. 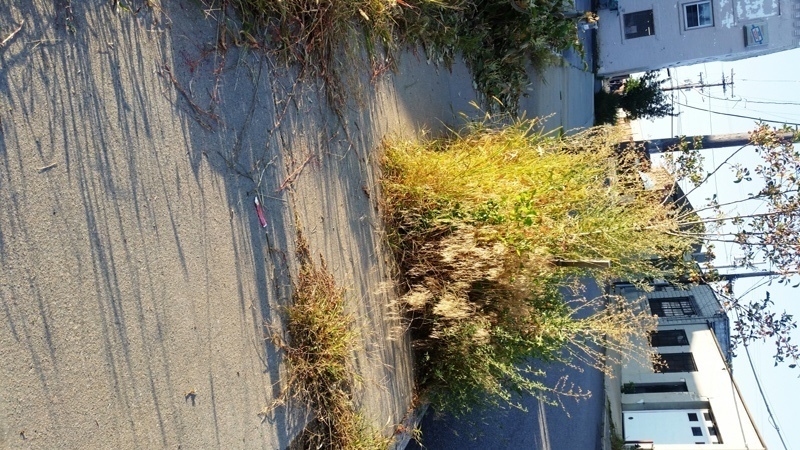 This business located on the corner of Battey and West Fountain streets has so much overgrowth you can't walk on the sidewalks! If this were my home, I would get cited by the City of Providence, yet so many local businesses get away with overgrowth and not shoveling the snow on the sidewalks. Building demo'd last year. Has it gotten zoning approval for surface parking? See phone number on sign. Address is 91 Vinton Street. Zoned R-3. I am not well versed in zoning but I'm fairly certain R-3 means Residential 3 family not parking lot. This issue has not been addressed: big sign and lot without curbing, landscaping & curbing all unaddressed. well the sign is gone because a neighbor called the owner and warned him that he would get unending calls until it was down. But the owner has now put up jersey barriers around the entire circumference except for an egress for the cars that illegally use the lot and for which he charges money==illegal use by a real estate agent. In addition, the snow on the sidewalks has been over 5' high coming from him shoveling all his snow onto them so the cars have space but we--kids and grownups have to walk on the street on that corner. This owner violates code after code--from signage, to illegal parking lot, to improper and unsafe side walks and shoveling. Where are the police? where is the planning and code enforcers? For god's sake, Jersey barriers in a pedestrian neighborhood! Now the sign is gone, but the put Jersey Barriers around the entire lot! The city says they are reversible. Well, yes. And so it the Taj Mahal and the Capitol building if you have the right equiptment! pot holes on Albro and missing sidewalk. No it has not been fixed. ALso there was a no parking sign that some people removed on Messenger St near fence. Messenger St is not an abandoned street in that section. I believe you are referinng to the black fence that is between the Service road and Route 95. It is damaged in two locations from Broadwy to Washington St. This is under the jurisdiction of the RI Dept. of Transportation. An email was sent to Paul Annarummo who is the director of the maintenance division of RIDOT on 12/16/2011 alerting him of the damaged fence. Paul's email is pannarummo@dot.ri.gov. the emails you gave me came back as undeliverable. Ironically a massive police procession ( honoring the officer who crashed into a telephone pole and died ) drove right by the large opening in the fence across from the public safety building. did it not occur tomany of them that the next accident could be a car and cruiser going through that opening on a chase and landing on cars on the highway? Reporting-MTA: dns;dot-exch-01.dot.ri.gov Received-From-MTA: dns;ri.gov Arrival-Date: Sat, 29 Sep 2012 11:31:59 -0400 Final-Recipient: rfc822;pannarummo@dot.ri.gov Action: failed Status: 5.1.1 ?there is a damage guard rail on the service rd. Directly in front of the public afety building. there are two areas of damage and either could result in a catastrophe. Take a look please. When walking up Dean St. cars are blind to pedestrians while they try to use the crosswalk that takes you across the on ramp for rt. 6/10. It feels as though I risk getting hit every time I cross. I think that it could be improved by moving the crosswalk so that it didn't start from inside the exit and so that it just followed the trajectory of the street and the sidewalk. I completely agree with this suggestion. This segment of Dean Street as currently configured is unsafe for pedestrians. Traffic engineers should look at it and redo it with pedestrian safety in mind. Providence Water checked the leak this AM. It is coming from a service gate box that appears to have been run over by a vehicle and damaged. We are trying to get it to turn off today but if we are not successful we will have to excavate to repair it next week.